Cyberbullying became a topic of national conversation several years ago, when tragic teen suicides were linked to online harassment. In response, the Pennsylvania legislature acted to criminalize online harassment and directed schools to impose their own discipline on student bullies. 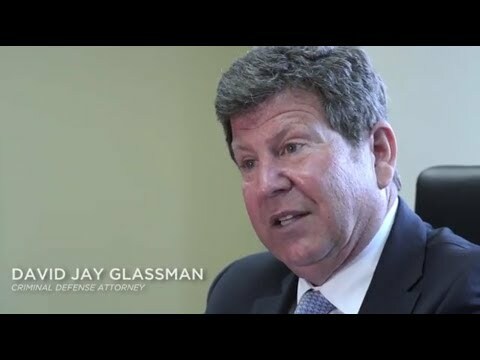 At the Law Offices of David Jay Glassman in Philadelphia, we are well-versed in Pennsylvania law and are skilled at defending individuals accused of electronic bullying and harassment. When people think of extreme instances of cyberbullying, the stories of Tyler Clementi and Rebecca Sedwick may come to mind. Both teens ended their lives after suffering from cyber harassment at the hands of classmates, sparking conversations about the potentially devastating consequences of online actions. Pennsylvania now has specific laws that address cyber harassment and cyberbullying. Harassment is a third-degree misdemeanor punishable with a maximum prison sentence of one year and a maximum fine of $2,500. A recent amendment, 18 Pa. C.S.A. § 2709(a.1), is aimed at cyber-harassment of children. Any minor or adult may face criminal charges if they use electronic means to continually threaten harm against a child or to make seriously disparaging statements about a child’s physical characteristics, sexuality or sexual activity, or physical or mental health. Juveniles charged with cyber harassment may be ordered to participate in a diversionary program that includes education about the effects of online harassment. If the juvenile successfully completes the diversionary program, the record of the charge can be expunged. By state law, every public school must have an official anti-bullying policy and must establish disciplinary measures. Under 24 Pa.C.S.A. § 13-1303.1A(e), any electronic act or series of acts carried out intentionally and directed at another student or students can qualify as bullying if it results in a threatening environment, a substantial interference with a student’s education or a substantial disruption in the school’s operation. The behavior must be severe, persistent or pervasive and must occur in a school setting, which includes school property as well as off-site school activities. In the School District of Philadelphia, a student found guilty of cyberbullying may face a loss of school privileges, expulsion or other punishments. Freedom of speech — The free expression of personal opinion is protected under the First Amendment as long as one’s words – including text messages, social media posts or other forms of electronic communication – do not pose a serious or imminent threat. Unintended consequences —. A person who makes a comment or criticism without hurtful intention is not criminally liable for pain the other person feels or for actions they take in response. False reports — We investigate and rebut false claims of harassment that may have been made against the accused, whatever the motive of the complainant. Our firm advocates for clients by utilizing evidence and asserting constitutional protections as well as those afforded by Pennsylvania law. With the knowledge that no two cases are alike, we devote focused attention to the details and dynamics surrounding each individual accusation. At the Philadelphia Law Offices of David Jay Glassman, we represent minors and adults accused of violating Pennsylvania’s cyberbullying and cyber harassment laws. Our office takes on clients from Philadelphia, Bucks, Chester, Delaware and Montgomery counties. To schedule your initial consultation, call us at 215-563-7100 or contact us online.